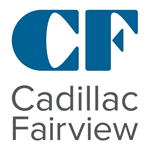 The Point Alliance Team has been an intricate part of creating and delivering a leading edge leasing and property management tool to Cadillac Fairview. The Shopping Centre Real Estate industry refers to their Leasing Binders as “Bibles” and moving it on-line instead of in an antiquated print form is leading-edge for our industry. In order to make this valuable to our best customers, it needed to add value in expectations and deliverables. Point Alliance worked with us as a Team on this project. Though their core competency is in functionality, they were true partners from aesthetics to input. They are passionate about quality and were true partners in a relationship that resulted in an exceptional end product. They pushed us to create a product and deliverable that was better than anticipated and has been received by our industry as a “wow”.